A 40th anniversary screening of Stanley Kubrick's 1968 masterpiece, 2001: A Space Odyssey, will take place on Friday, April 25, at 7:30 p.m. at the Academy of Motion Picture Arts and Sciences' Samuel Goldwyn Theater in Beverly Hills. 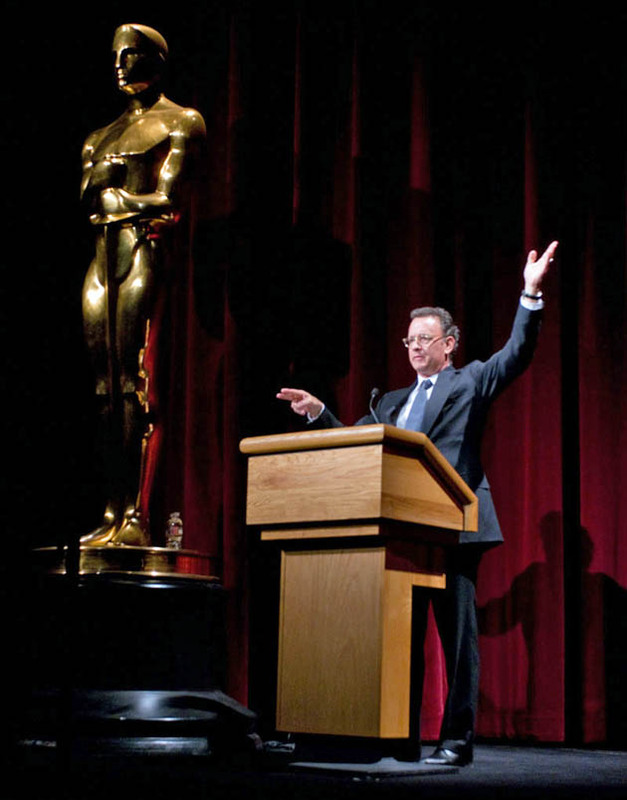 Tom Hanks, who, as per the Academy's press release, has been “markedly influenced” by 2001: A Space Odyssey, will host the screening, presented in 70mm 6-track stereo, as was the original release. Following the screening, Hanks will take part in an onstage discussion with actor Keir Dullea, Oscar-nominated visual effects wizard Douglas Trumbull, and special effects artist Bruce Logan. 2001: A Space Odyssey earned an Academy Award for Special Visual Effects (Kubrick), in addition to nominations for Art Direction (Tony Masters, Harry Lange, Ernie Archer), Directing (Kubrick) and Writing – Story and Screenplay written directly for the screen (Kubrick, Clarke). Note that 2001 failed to receive a Best Picture nomination. The winner that year, by the way, was Carol Reed's conventional (and bloated) musical Oliver!. Also, despite its stunning visuals (courtesy of Geoffrey Unsworth), 2001 wasn't nominated for best cinematography. But Oscar or no, the chance to watch 2001: A Space Odyssey on the big screen is one not to be missed. Tickets for the Academy's 40th anniversary presentation of 2001: A Space Odyssey may be purchased online at www.oscars.org, in person at the Academy box office or by mail. Doors open at 6:30 p.m. All seating is unreserved. The Academy is located at 8949 Wilshire Boulevard in Beverly Hills. For more information, call (310) 247-3600. 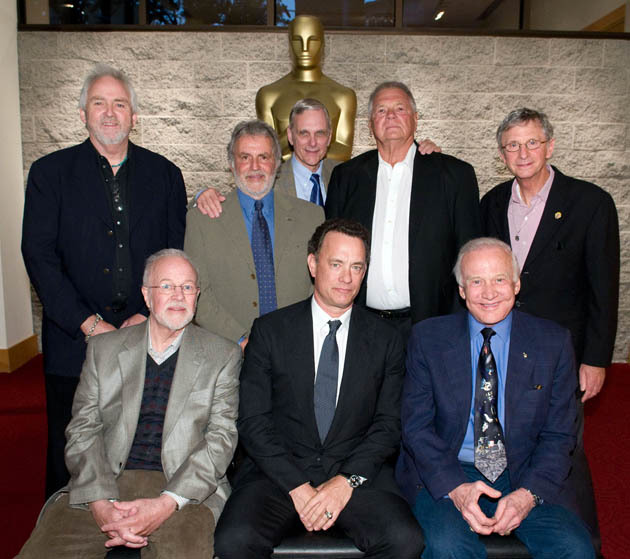 Seated, left to right: Douglas Trumbull, Tom Hanks and Buzz Aldrin. Standing, left to right: Bruce Logan, Sid Ganis, Keir Dullea, Gary Lockwood and Daniel Richter at Academy's '2001: A Space Odyssey' event. Tom Hanks, who fell under the spell of 2001: A Space Odyssey way back when, introduced the 40th Anniversary screening of Stanley Kubrick's 1968 science-fiction masterpiece this past Friday, April 25, '08. Others in attendance at the event, held at the Academy of Motion Picture Arts and Sciences' Samuel Goldwyn Theater in Beverly Hills, were the film's two stars, Keir Dullea and Gary Lockwood. 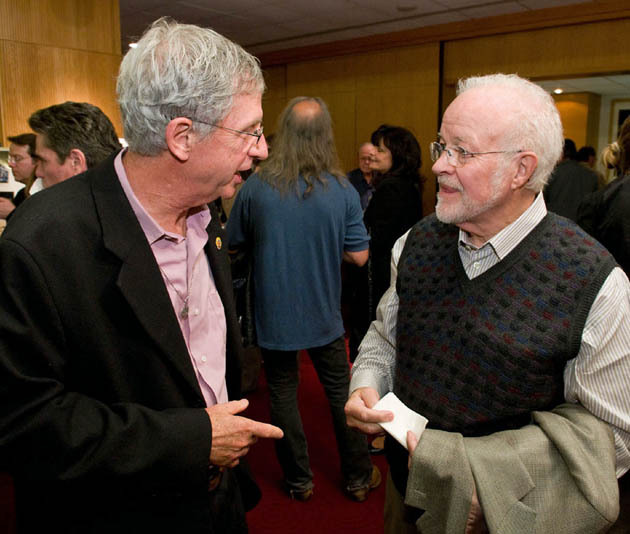 In addition to veteran and three-time Oscar-nominated visual effects artist Douglas Trumbull (Close Encounters of the Third Kind, 1977; Star Trek, 1979; Blade Runner, 1982), visual effects artist and cinematographer Bruce Logan (Star Wars, Batman Forever), and filmmaker Irvin Kershner (The Empire Strikes Back, Never Say Never Again). Click on the image above to enlarge it. And see below more images from the Academy's 2001: A Space Odyssey evening. 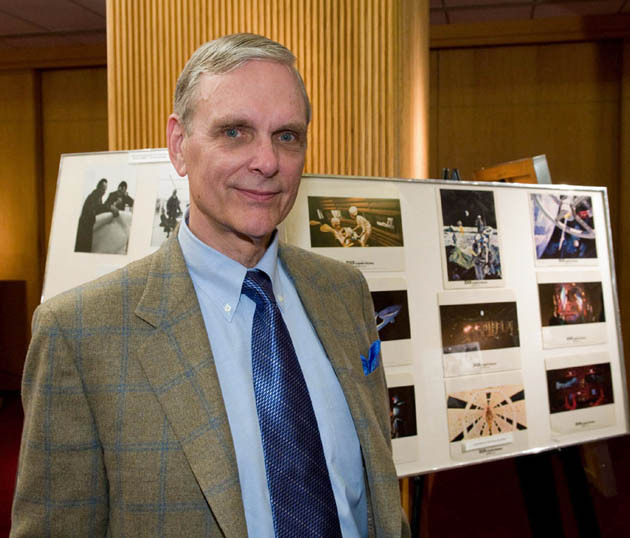 Keir Dullea: '2001: A Space Odyssey' astronaut – the lucky one. 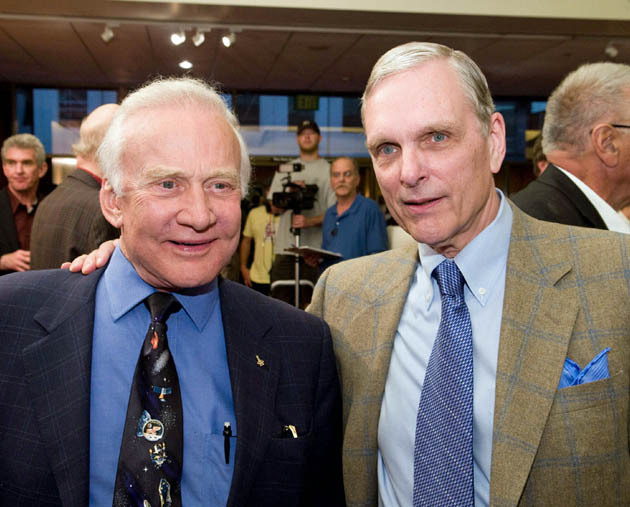 In the last (nearly) five decades, Keir Dullea has been featured in about 30 feature films. Cast: Keir Dullea. Janet Margolin. Howard Da Silva. Neva Patterson. Clifton James. Bunny Lake Is Missing (1965). Cast: Carol Lynley. Laurence Olivier. Keir Dullea. Martita Hunt. Anna Massey. Clive Revill. Finlay Currie. Noël Coward. Cast: Lana Turner. John Forsythe. Constance Bennett. Keir Dullea. Ricardo Montalban. Burgess Meredith. Virginia Grey. Warren Stevens. Cast: Sandy Dennis. Anne Heywood. Keir Dullea. Gary Lockwood: '2001: A Space Odyssey' astronaut – the unlucky one. Splendor in the Grass (1961). Cast: Natalie Wood. Warren Beatty. Gary Lockwood (minor role). Cast: James Stewart. Henry Fonda. Inger Stevens. Gary Lockwood. Dean Jagger. Ed Begley. Jack Elam. Jay C. Flippen. BarBara Luna. 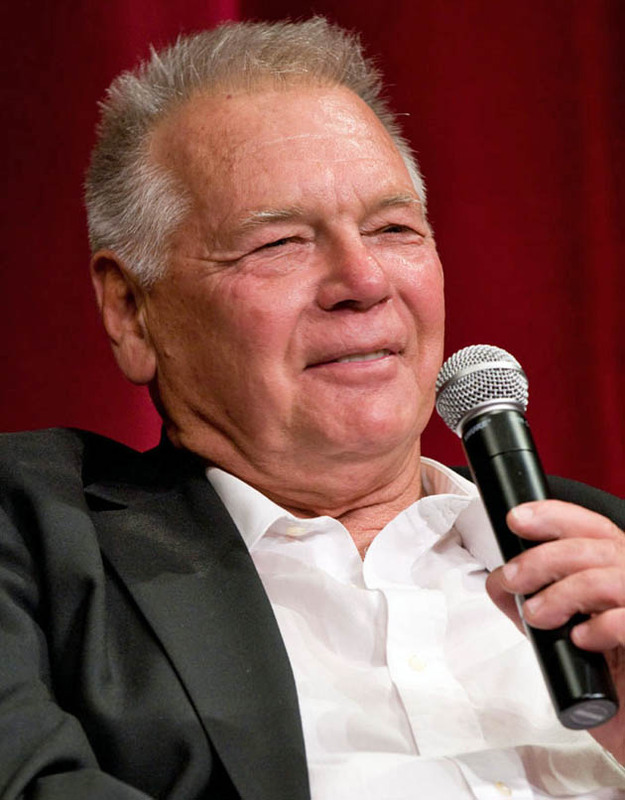 Cast: Gary Lockwood. Joanna Pettet. David Anthony Smith. Leslie Ryan. And here are more images from the Academy's 2001: A Space Odyssey presentation. Tom Hanks introduces '2001: A Space Odyssey' screening. Douglas Trumbull and Daniel Richter (Moon-Watcher in '2001: A Space Odyssey'). 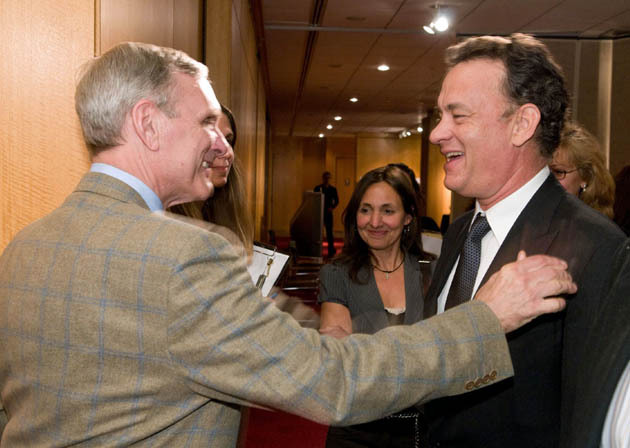 Keir Dullea and two-time Best Actor Oscar winner Tom Hanks ('Philadelphia,' 1993; 'Forrest Gump,' 1994). 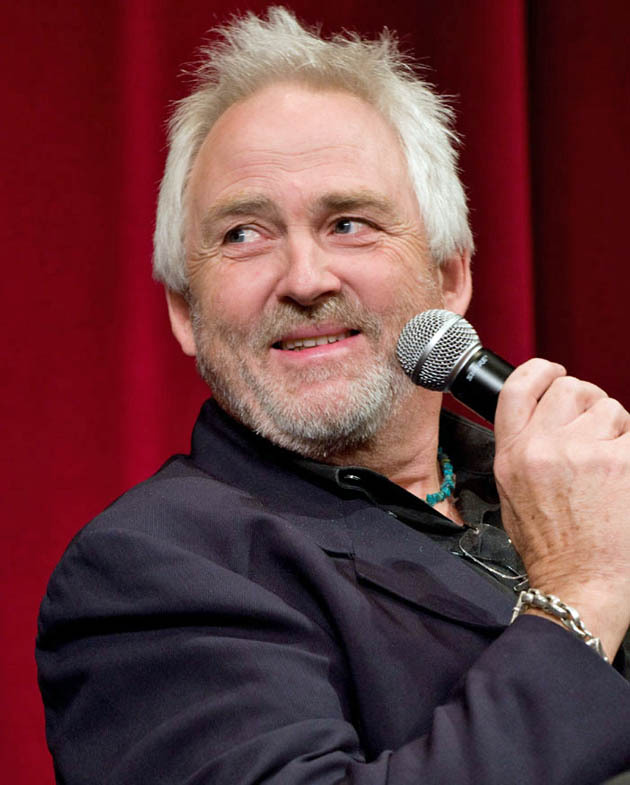 Visual effects artist and cinematographer Bruce Logan. 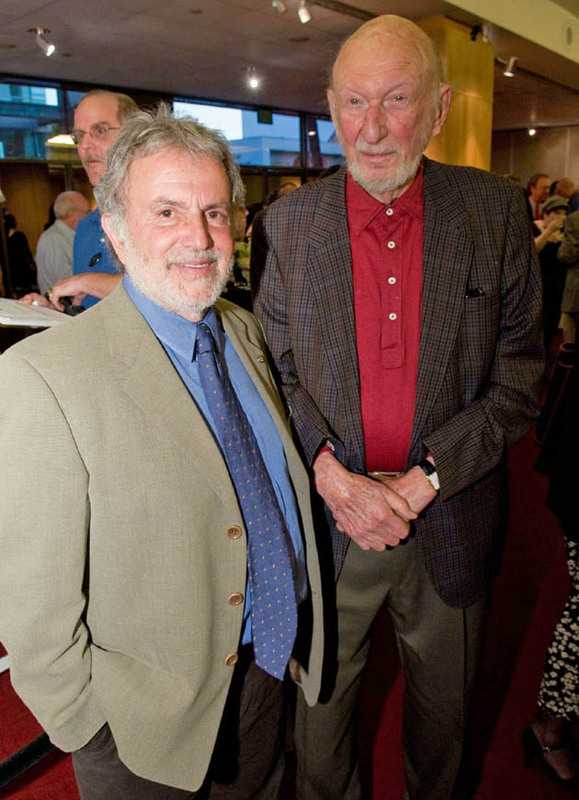 Irvin Kershner ('Eyes of Laura Mars') and Academy President Sid Ganis. Lunar Module Pilot on Apollo 11 Buzz Aldrin (played by Larry Williams in 'Apollo 13') and Keir Dullea. Keir Dullea and Gary Lockwood: '2001: A Space Odyssey' actors. 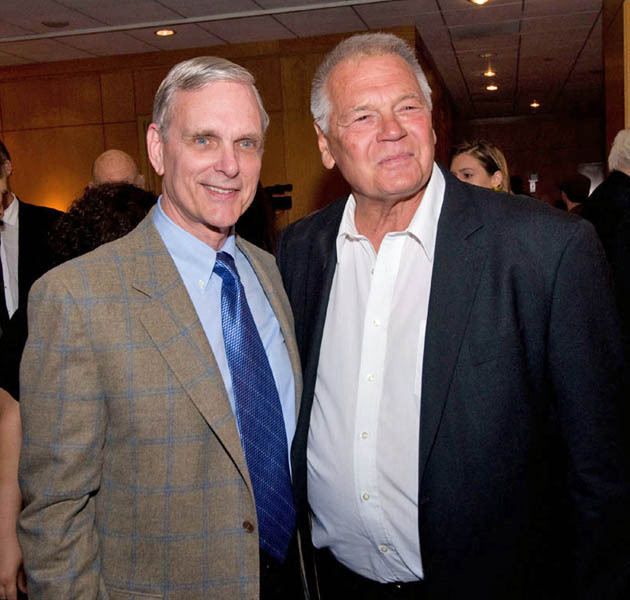 Keir Dullea and Gary Lockwood photo: Greg Harbaugh / ©A.M.P.A.S. Tom Hanks, Daniel Richter, Douglas Trumbull, and all other 2001: A Space Odyssey screening images: Todd Wawrychuk / © A.M.P.A.S.